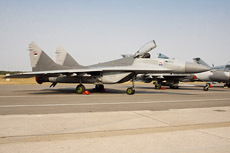 The Serbian airbase Beograd-Batajnica is the home base of the 204. 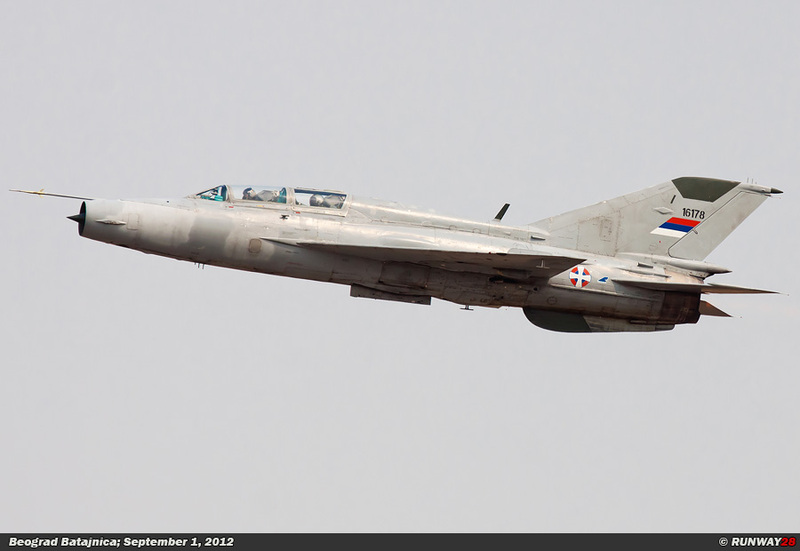 Brigada of the Serbian Air Force. 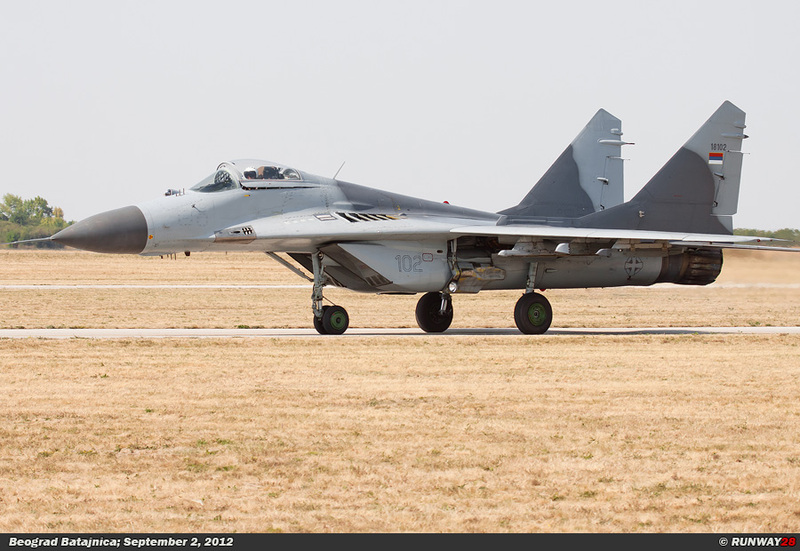 This unit contains the air defense fleet, the transport fleet and the training fleet. The 204. 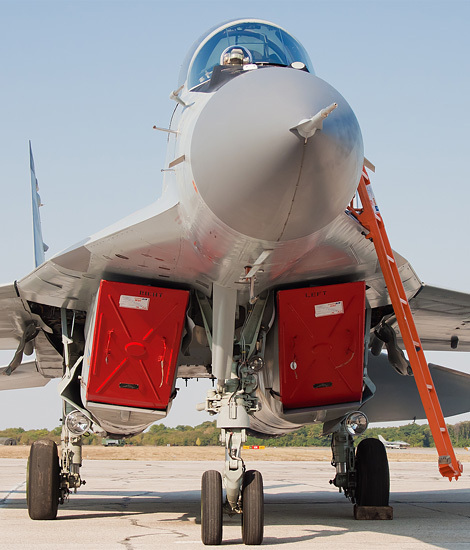 Brigada is the largest brigade of the 2 air brigades in Serbia. The unit is divided into 4 squadrons with their own tasks. 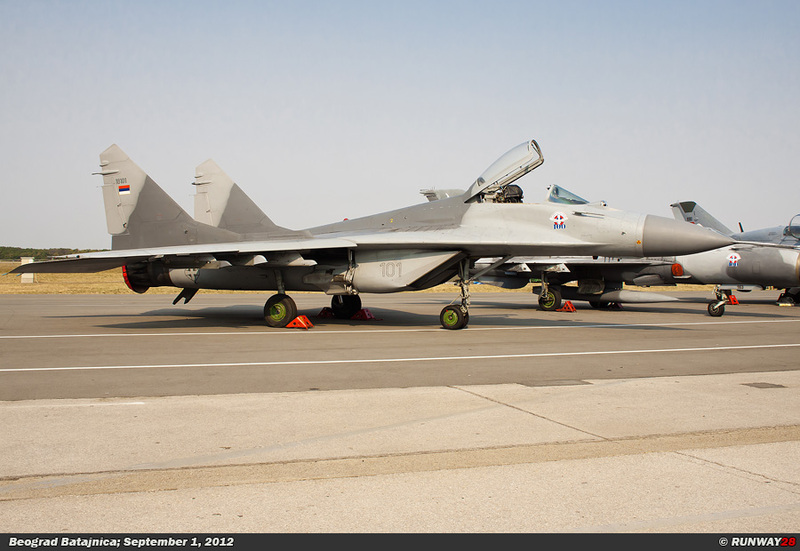 The 101 Lovacka Aviacijska Eskadrila (101.LAE, 101st Fighter Squadron) is the air defense unit of the Serbian Air Force. 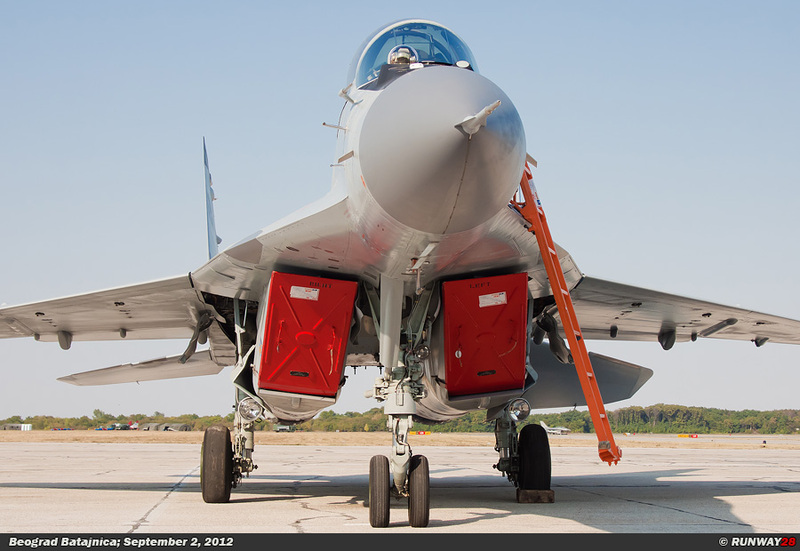 The unit is already for many years stationed at Beograd-Batajnica. The 101.LAE is equipped with the Russian built MiG-21bis and MiG-29 Fulcrum. The fighters are in the Serbian system for type designation numbered with the letter L. This letter represents the word Lovac (Fighter). 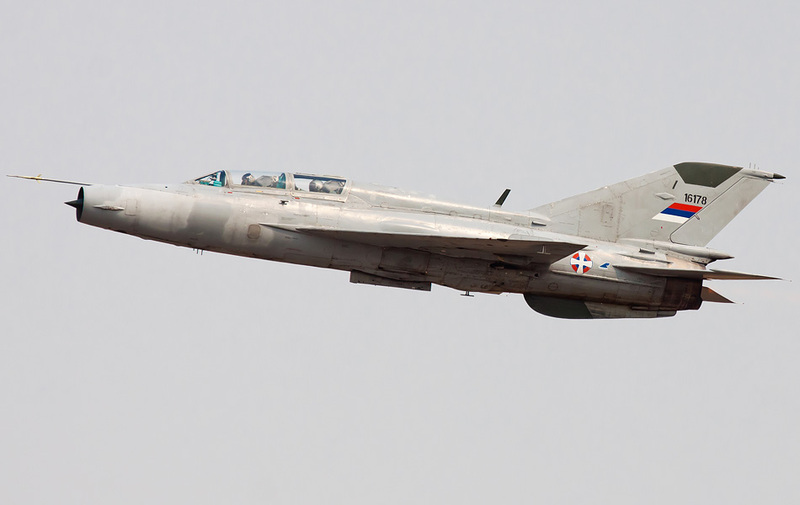 The MiG-21 is the most important aircraft when it comes to interception and air defense. 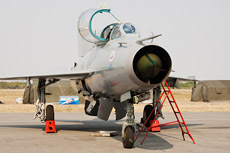 Over the years, the Serbian Air Force used several variants of the MiG-21. 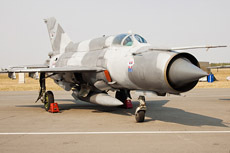 The earliest versions of this type were the MiG-21M (L-15) of which 31 were in service, the MiG-21MF (L-15) of which were 6 aircraft in use and the MiG-21UM (L-16) of which 2 of the 25 are still operational. 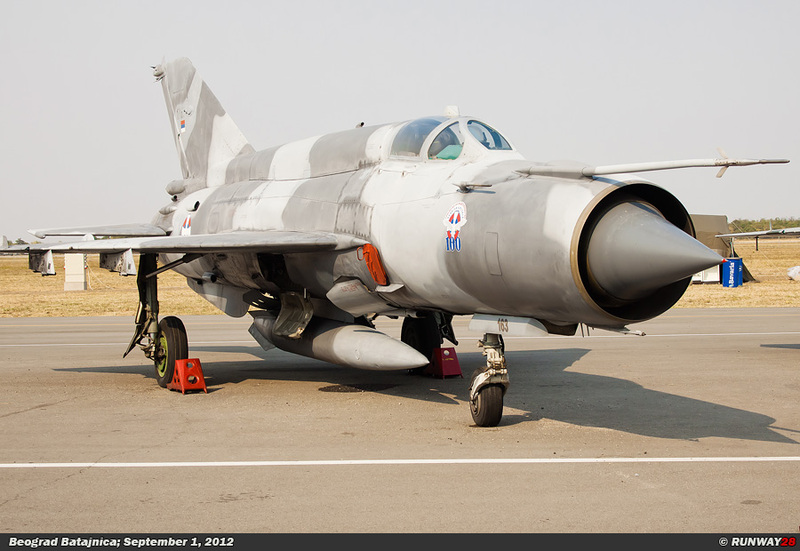 The MiG-21M and MiG-21MF were formerly attack variants of the MiG-21 and the MiG-21UM Mongol is a 2-seater trainer. 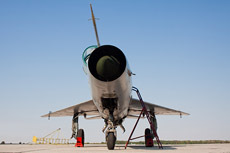 The main variants of the MiG-21 are the MiG-21bis (L-17) of which only 1 of the 48 aircraft is operational nowadays and the MiG-21bisK (L-17K) of which 7 of the original 45 aircraft are still in use. 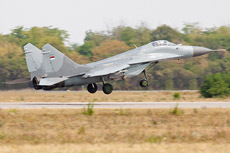 Apart from the MiG-21, the 101.LAE has also the MiG-29 in use which is designated as the L-18. There are still 3 of 14 MiG-29As (L-18) and still 1 of 2 MiG-29UBs (NL-18) in use. The letter N in the designation NL-18 stands for Nastavni (Training). 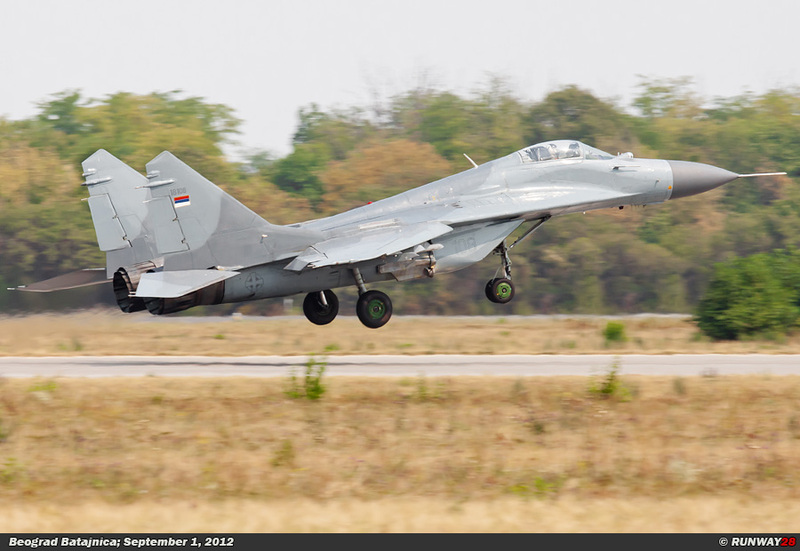 The main task of the 101.LAE is defending the Serbian airspace against unwanted intruders. 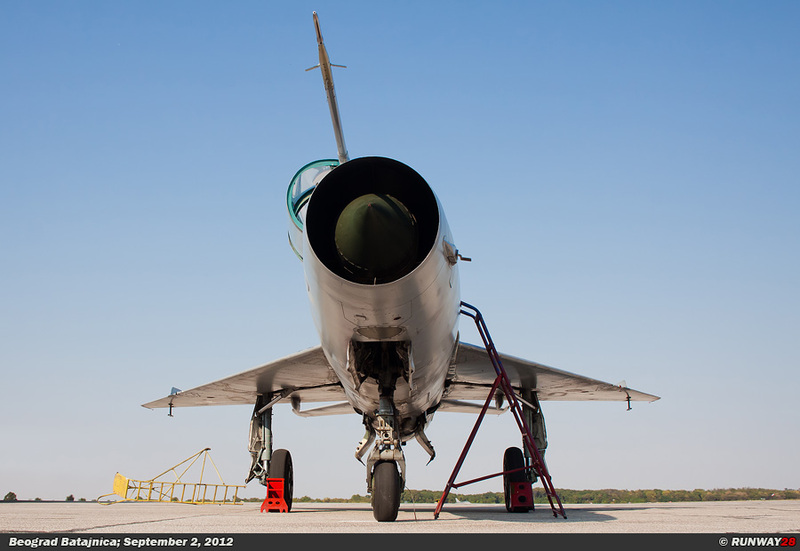 The MiG-21 fleet is very old and the Serbian Air Force is studying several types to follow up the MiG-21 in the near future. There are several candidates in the race for the contract. 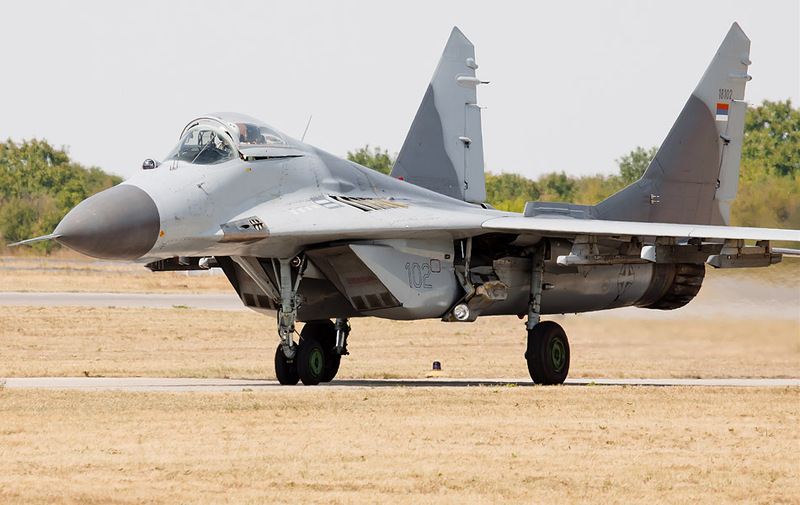 Some candidates are the Saab Grippen and MiG-29M2 Fulcrum. 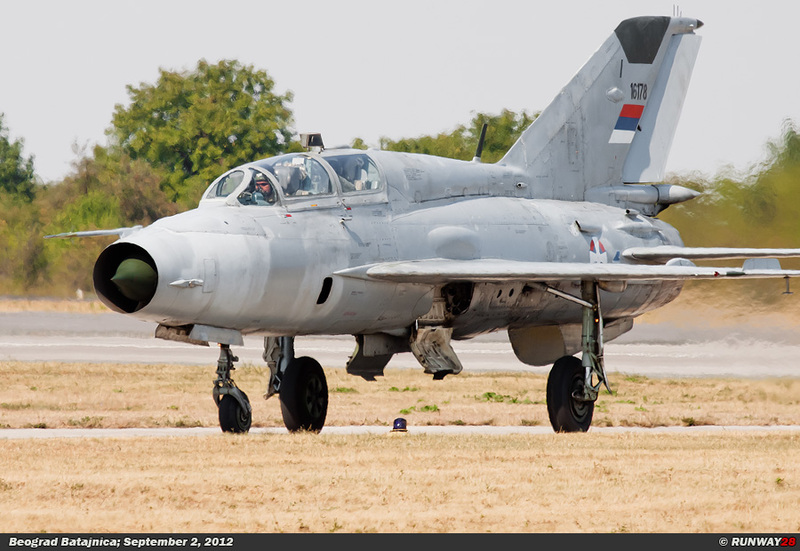 Yugoslav Air Force. 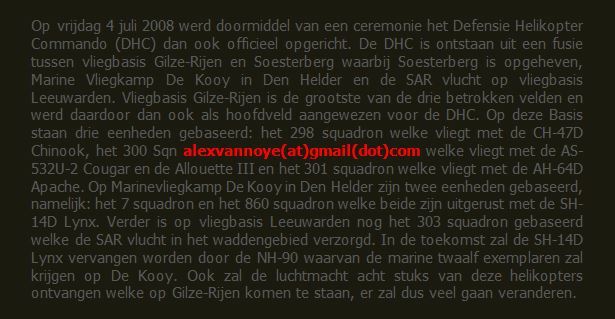 This task was performed by the unit until 2006 when it became a mixed unit with some training aircraft and attack aircraft. 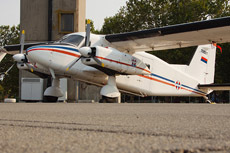 Since 2010, the 252.STAE has only a training task. 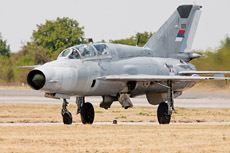 The 252.STAE was during the various Yugoslavian conflicts several times deployed in Slovenia (1991), Croatia (1991-1992), Bosnia (1992) and Kosovo (1999). 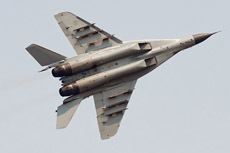 The unit was at that moment equipped with the J-22 Orao and the G-4 Super Galeb. 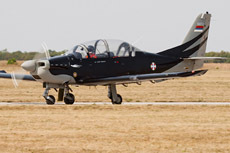 The UTVA-75 is the training aircraft which is currently used for the elementary flying training. The UTVA-75 was a Yugoslav product which was built in 1976. The UTVA-75 is referred to as the V-53 where the letter V stands for Visenamjenski (Utility). 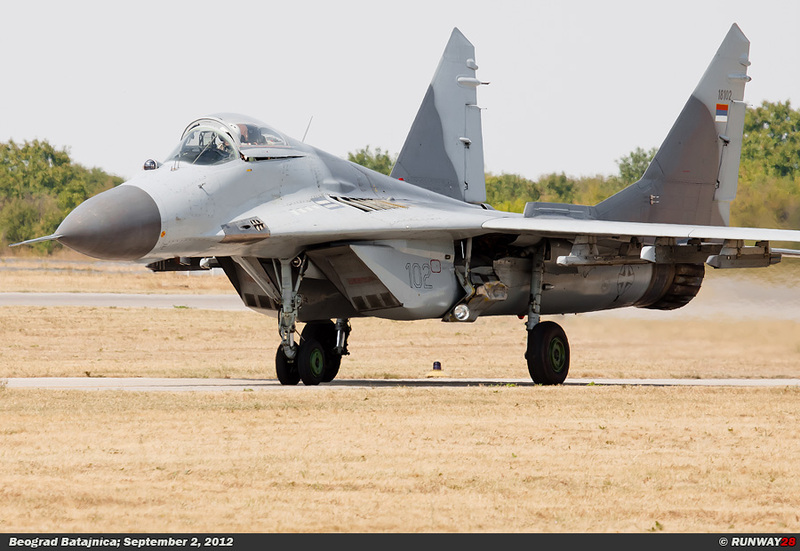 There are still 16 of the originally 130 UTVA-75 aircraft in service. 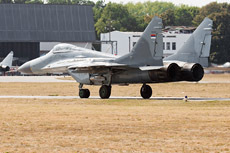 The aircraft will be replaced by 18 Lasta 95s. The first 9 Lasta 95s are already delivered to the 252.STAE. The Lasta 95 is referred to as the V-54. 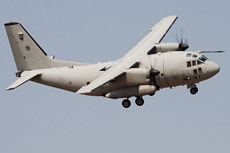 The G-4 Super Galeb is the aircraft which is used for the advanced training by this unit. 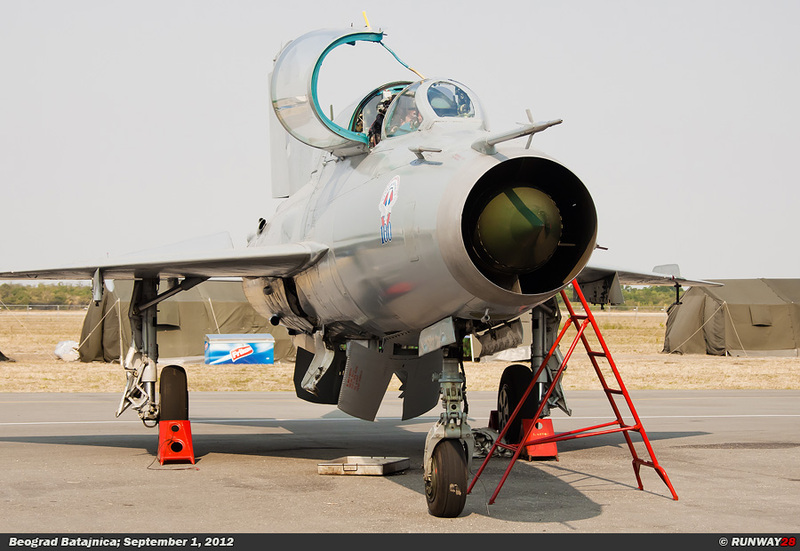 The G-4 is referred to as the N-62 in Serbia. 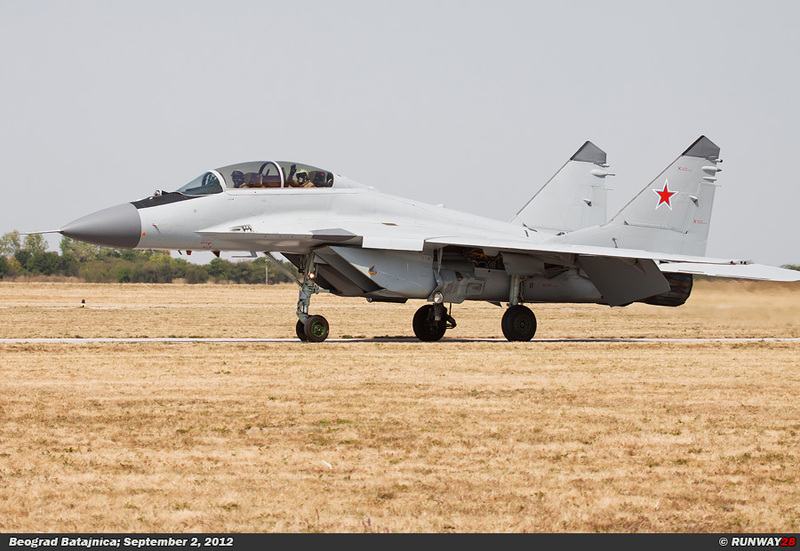 There are 17 of the originally 55 G-4s in service of which 15 are assigned to the 252.STAE. 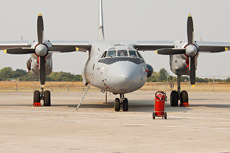 The third unit at Beograd-Batajnica is the 138 Mešovita Transportna Aviacijska Eskadrila (138.MTAE, 138th Mixed Aviation Transport Squadron). This unit is respon- sible for all the air transport and the transport of VIPs. 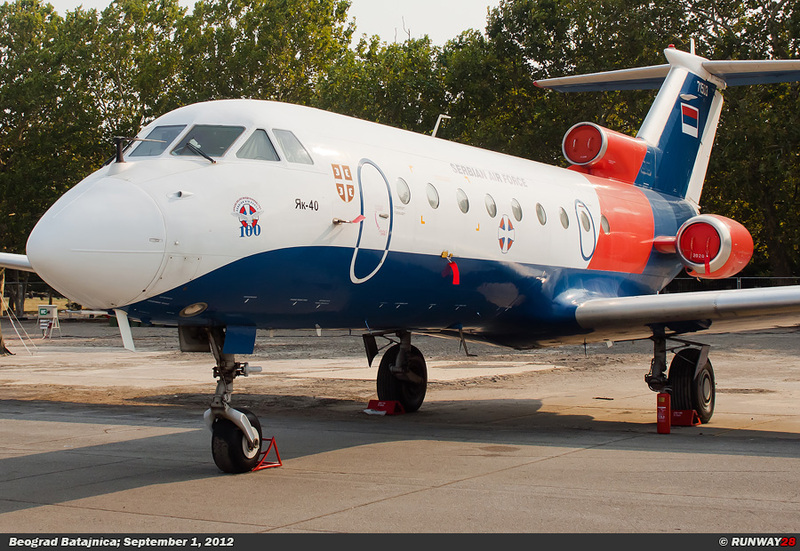 In order to perform these tasks properly, the 138.MTAE has a number of An-2, An-26 and PA-34-220 aircraft in use. 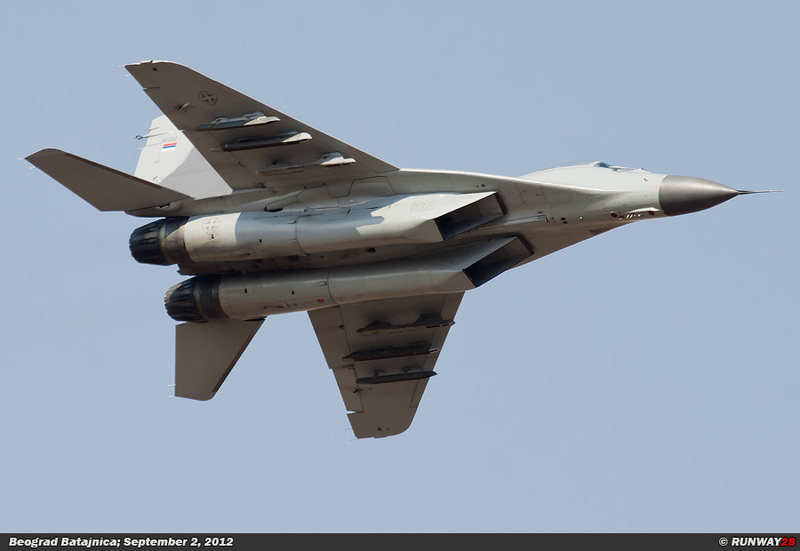 The unit was in the past equipped with several types which are nowadays retired due to cuts in fund. 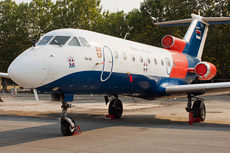 For transporting VIPs, the unit had six Yak-40s in service. These VIP aircraft are all placed in storage nowadays. 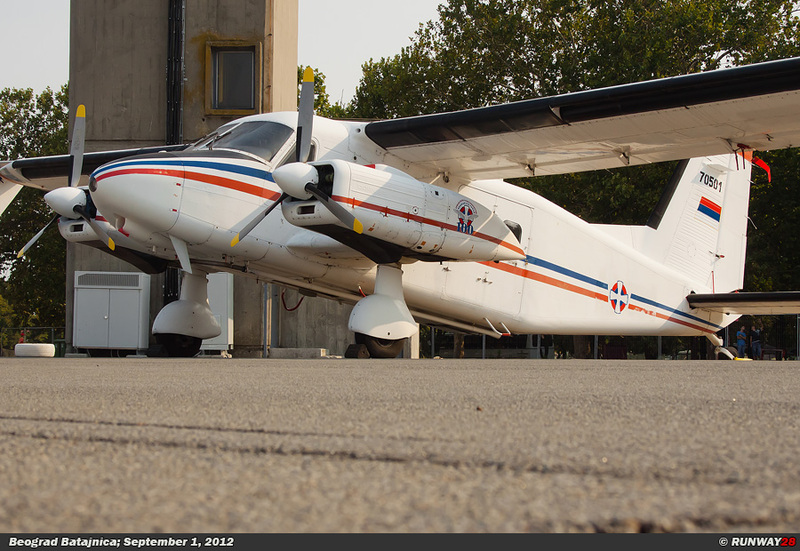 For light transport, the Serbian Air Force used two Dornier Do28-2 aircraft which are retired from service recently. 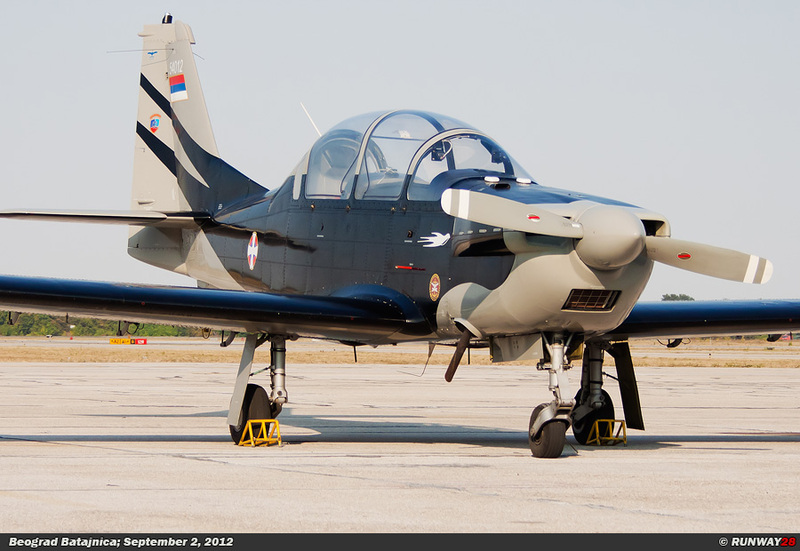 For transporting VIPs and small loads over short distances, the Serbian Air Force has 1 Piper PA-34-220T in use which is still operational. 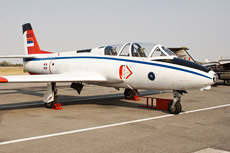 The Yak-40, the Do-28-2 and the PA-34-220T have no Serbian type designation with the specified letters. 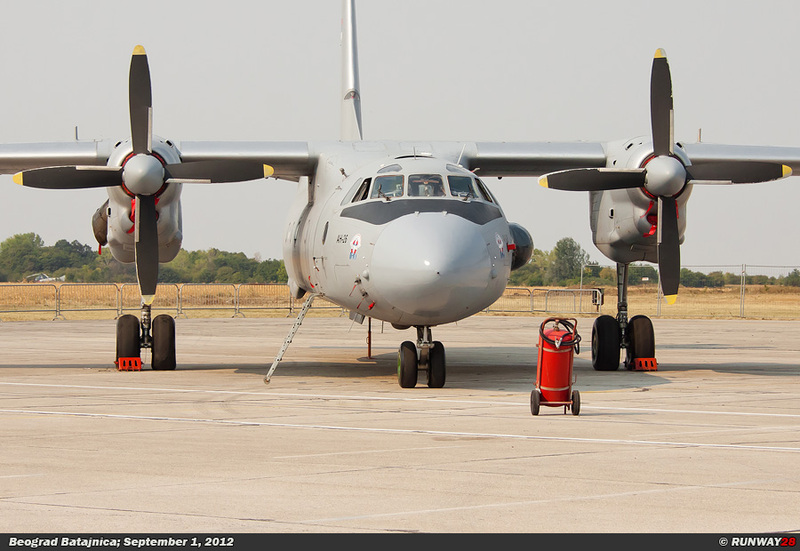 Besides these transport aircraft, the Serbian Air Force has also two An-26 medium weight transport aircraft in use. These planes are referred to as the T-71 where the letter T stands for Transportni (Transport). 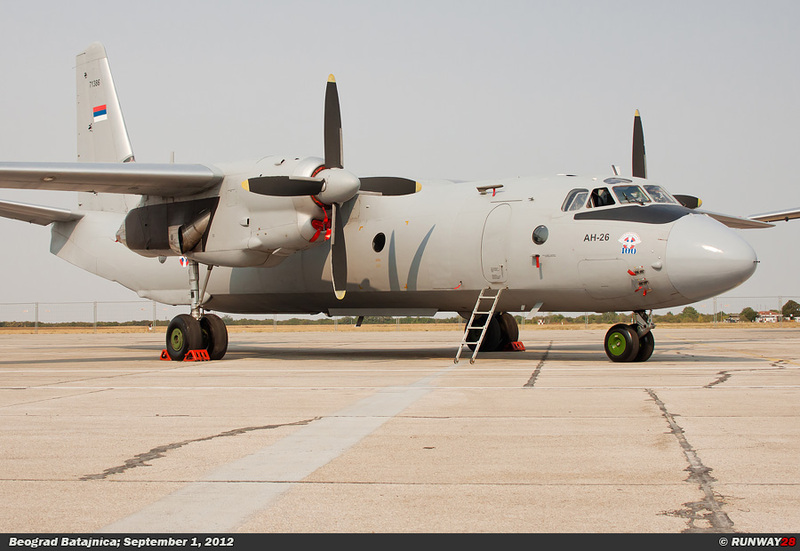 In the past, the 138.MTAE had an availability of 15 An-26s. 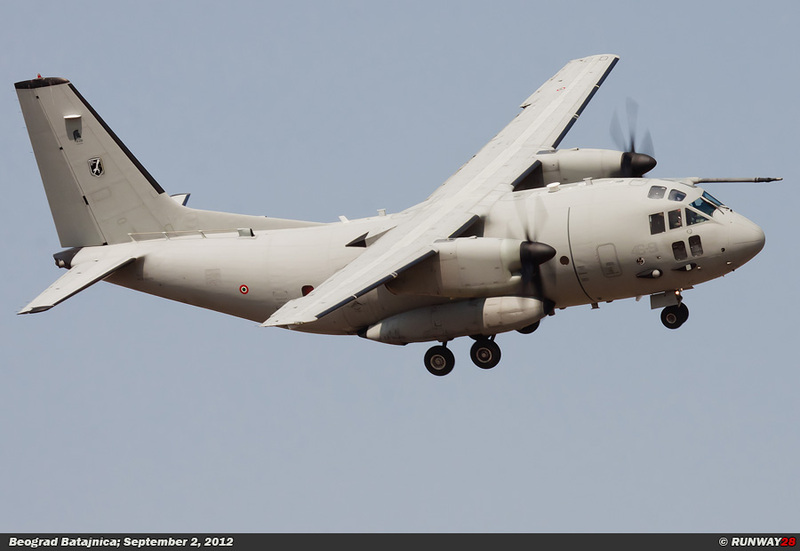 The An-26 will possibly be replaced by the C-27 in the future. 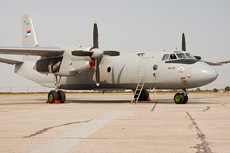 In addition to the An-26, the 138.MTAE has also 1 An-2TD in service. 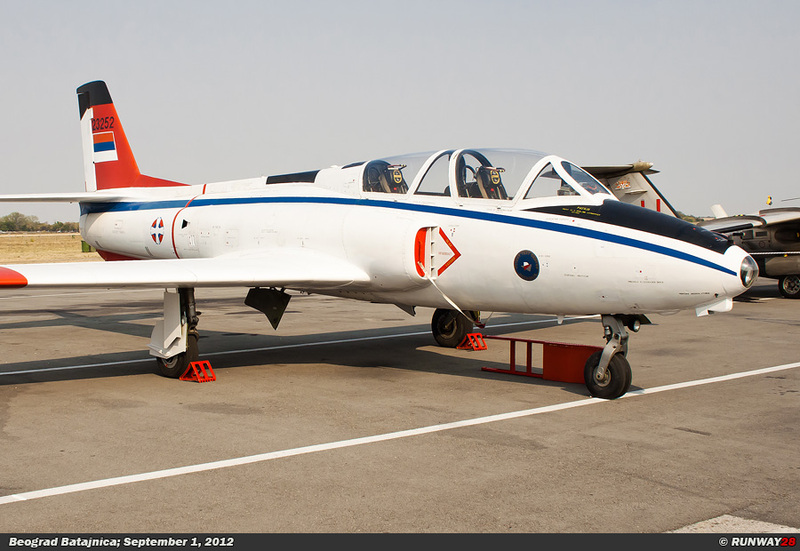 This aircraft is referred to as the T-70. Originally, the fleet consisted of six An-2s. 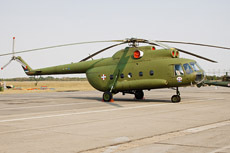 The 890 Mešovita Helikopterska Eskadrila (890.MHE, 890th Mixed Helicopter Squa- dron) is the fourth unit which is stationed at Beograd-Batajnica. The helicopters of this mixed unit have different functions which can be transport tasks, attack roles and reconnaissance. 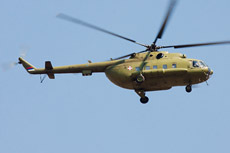 The 890.MHE was in the past equipped with two Mi-24V Hinds for offensive tasks. These helicopters are in the Serbian system called HN-47. The letter H stands for Helicopter, this letter is the same for all Serbian helicopters. The second letter is the letter N and represents the word Naoružani (Armed Helicopter). 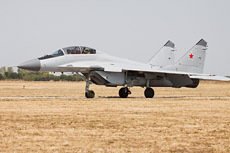 The SA341H gazelle is referred to as the HO-42 and has now been phased out. The letter O in the designation stands for Opce namjene (General Purpose). These helicopters were the unarmed variant of the Gazelle; in total, the Serbian Air Force had 53 of these Gazelles in service. 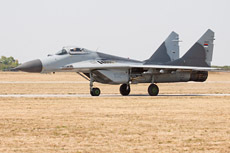 The Gazelle SA341 is referred to as the HI-42 in which the letter I stands for Izvidjac (Reconnaissance). 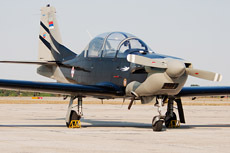 The Serbian Air Force has a total of 21 gazelles of this variant for reconnaissance flights. There are 4 SA341L1 Gazelles assigned to the 890.MHE which are referred to as HO-45 for the training of pilots on the Gazelle. 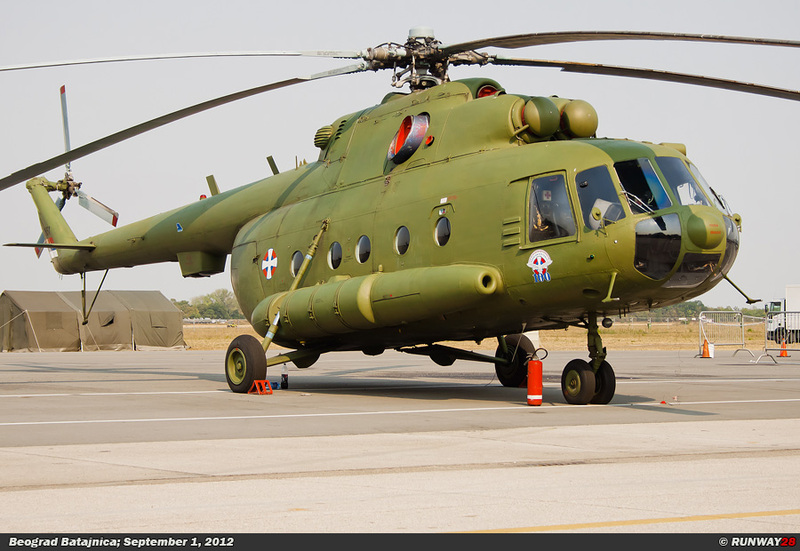 Also, the unit has 5 SA341H helicopters for offensive tasks which are designated as the HN-42M. Finally, the 890.MHE has six Mi-8T transport helicopters in use which are referred to as HT-40. The letter T stands for Transportni (transport). 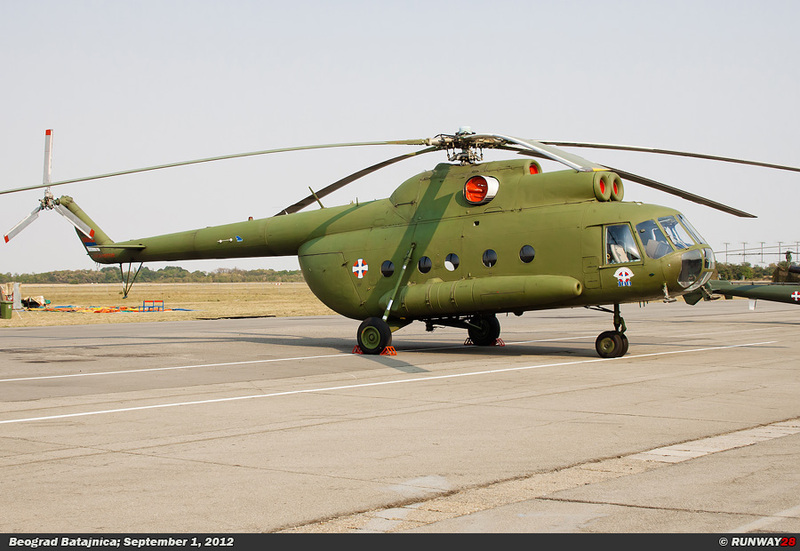 The Serbians had a total of 93 Mi-8Ts in the past.